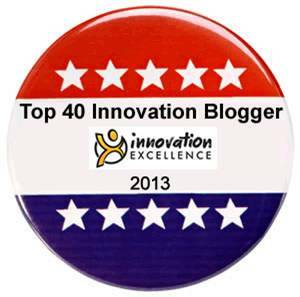 This is part one of a two-parts article co-written with Kevin McFarthing from Innovation Fixer. The second part can be found here. Here, we introduce the concept and give some ideas on how IPM can be implemented in the organization. IPM can be divided into a strategic and an operational part. 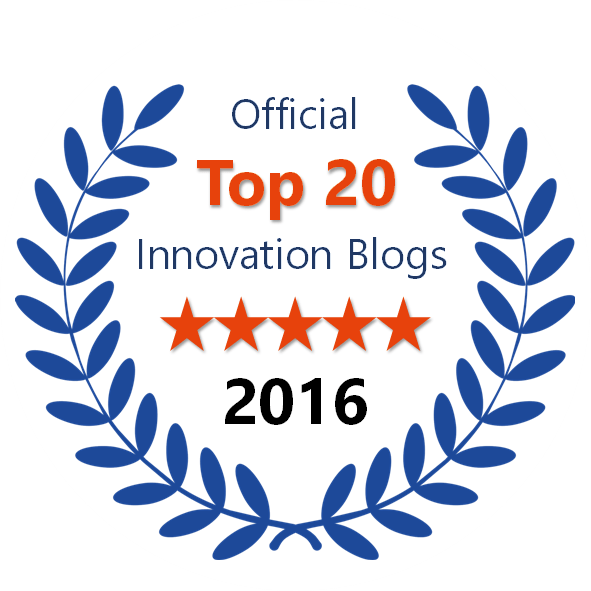 Strategic Portfolio Management (SPM), covered by the first part of this article, makes sure the right innovation initiatives are pursued (“doing the right things”) and backed with resources. The second part outlines Operational Portfolio Management (OPM), aimed at successfully executing the selected projects (“doing things right”). Innovation portfolio management needs to carefully pay attention to Horizon 2 activities. This is “strategy’s no-man’s-land” between short-term budgets and long-term focus [Geoffrey A. Moore: To Succeed in the Long Term, Focus on the Middle Term, Harvard Business Review (2007)]. Horizon 2 efforts must be insulated and isolated from core business until it can produce material revenues (which, depending on the size of the company, possibly range from $50 million to $100 million). This particularly involves enforcing portfolio commitments by blocking resource migration across horizon boundaries. During this adolescent phase, such projects require customized processes, metrics and performance targets. 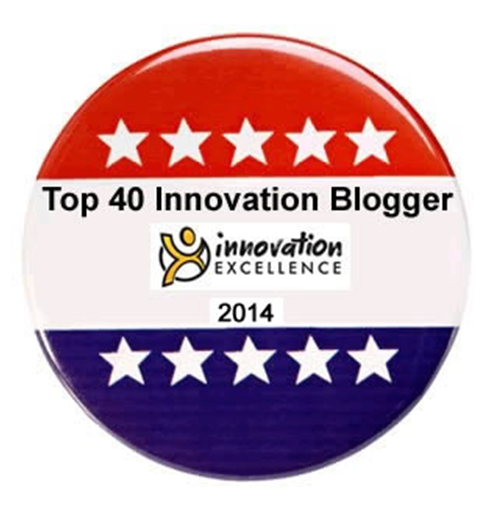 As the future is hard to foresee, firms need to be comfortable with experimentation, i.e. testing new technologies, products and business models. A recent study [Adi Alon, Wouter Koetzler, Steve Culp: The Art of Managing Innovation Risks, Accenture, http://www.accenture.com/us-en/outlook/Pages/outlook-journal-2013-art-of-managing-innovation-risk.aspx] has identified portfolio management as one major area to manage innovation risks adequately. Proper risk management enables experimentation, being conducive to radical and breakthrough innovation and counteracting the tendency to “play safe” by solely supporting incremental innovation. This involves spreading small bets across various innovation options, expecting that some of them turn out to produce large returns and cover the investment required for experimentation. And since a portfolio of experimental initiatives prepares for various future conditions, it’s obvious that not all of the initiatives will become relevant and return value. Indeed, as in nature, variation appears to be a major precondition for successful adaptation in changing environments. However, in order to avoid spreading commitment, resources and capital too thinly across too many and too diverse initiatives, it’s mandatory for organizations to focus on underlying, more predictable, drivers that are shaping business environments (such as digital technology progress, aging population or emerging market development). Since these fundamental forces will over time shape a broad array of surface events, developing indicators may help anticipate upcoming scenarios and therefore constrain the number of indicated experiments and initiatives. According to John Hagel, this can be considered a strategy paradox: in a time of increasing change and uncertainty, we must be clear on what will not change to not get distracted. 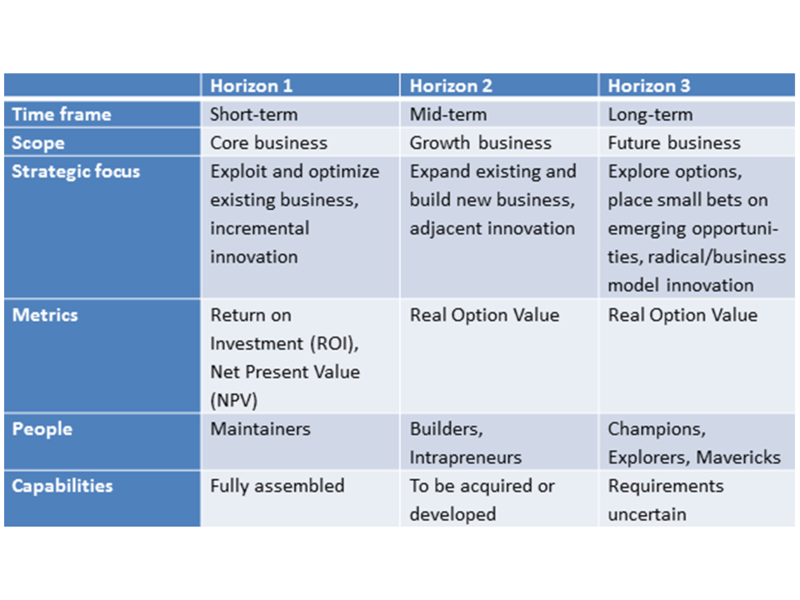 Figure 2: Innovation portfolio matrix across the three horizons. The size of the circle represents the project’s economic value. 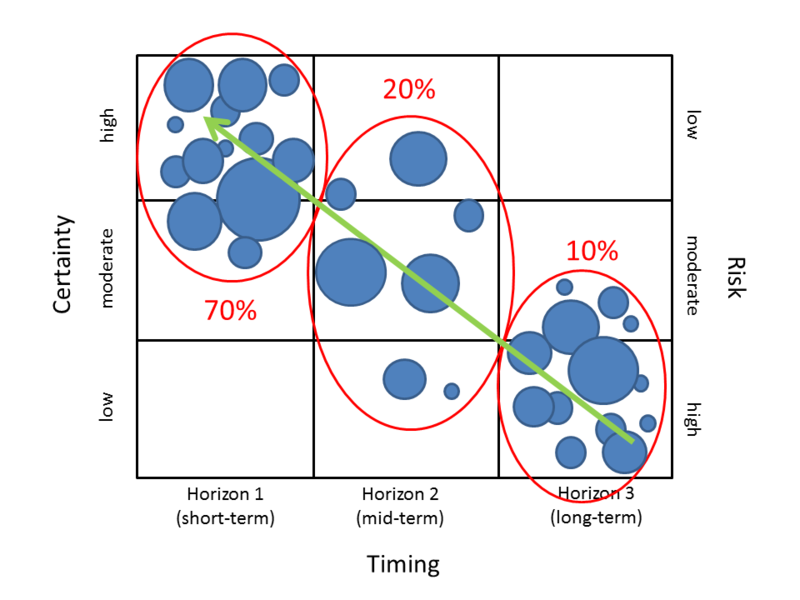 Portfolio management follows a staging investment from horizon 3 (uncertainty) towards horizon 1 (familiarity). 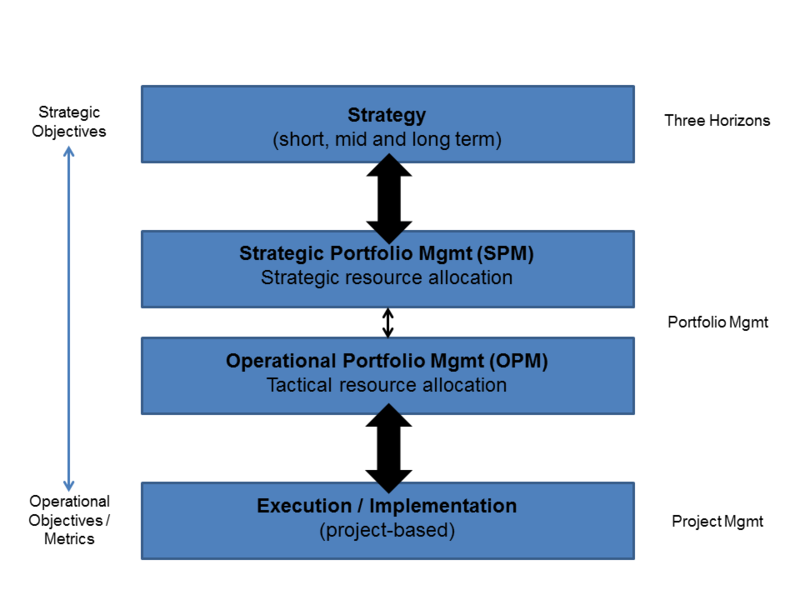 In part two of this article, we’ll discuss Operational Portfolio Management (OPM), where the portfolio directs resource allocation, metrics and reporting.